Electromechanical membrane, high pressure membrane pumps, solids handling pumps and high pressure plunger pumps. Since 1947, Egger has been producing centrifugal pumps and control valves in Switzerland for challenging applications. 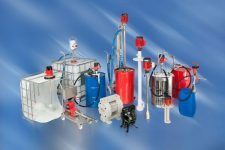 A comprehensive product system of pumps, motors, flow meters, accessories and a whole lot more. Offering a line of highly engineered products designed to handle corrosive and erosive fluids and gases, high temperatures and dirty flows. 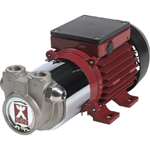 Incorporates many protection & applications features giving professional dealers confidence in their installation with the flexibility to adapt the pump to many different applications. 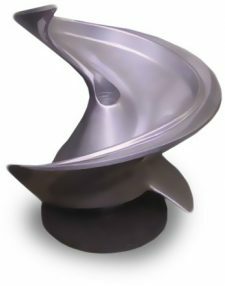 Hidrostal Pumps are the ideal pump for transporting most sludges and raw sewage. Complete line of metering, centrifugal and AODD pumps and accessories. Paco Pumps offers a complete selection of pumps ranging from collection systems to plant effluent applications for waste water treatment facilities. Pumpac provides patented lube-free, non-stall, non-freeze air systems, all plastic air systems with modular designs that are reliable and easy to maintain. Liquid, gas, and vapour handling expertise underpins the unique ability of SIHI to provide its clients with the optimum pumping system. 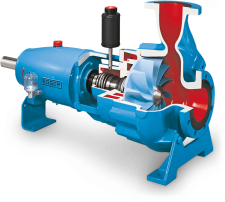 Due to modern designs and the use of high-quality materials and components, these pumps can be used under extreme operating conditions, (example at temperatures between -90°C and +350°C). Zeilfelder’s diverse standard and high performance pumps are able to serve all your needs and respond to any challenge.